After announcing that I am writing a book this summer many of you emailed and asked great questions about the process. Since we have our first shoot for the book this week, it seems like a great time to answer. Getting a book deal (just like getting any job you want) may seem like a stroke of luck, but it is really a mixture of hard work and hustle. 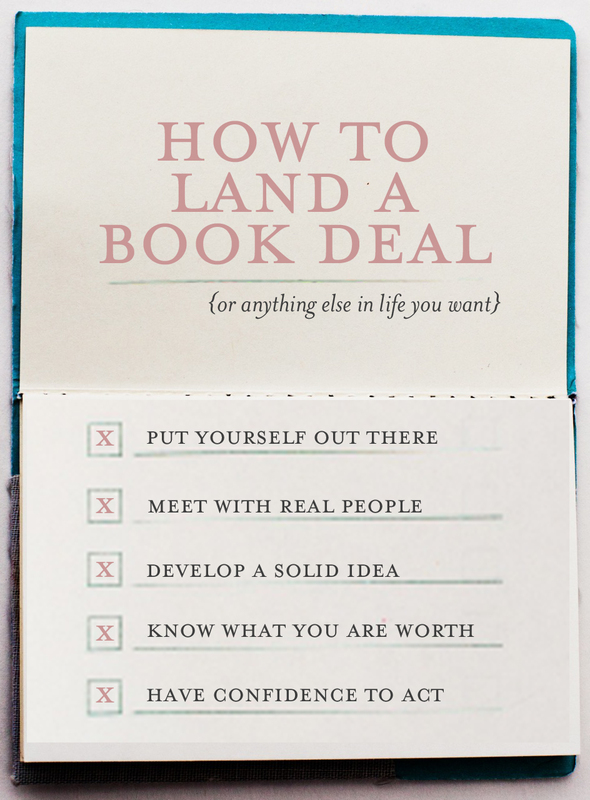 Here are a few tips for landing your own book deal, perfect job, or really anything you might want in life. 1) Put yourself out there. One of the most important aspects to landing anything is to show what you can do. And we live in this crazy time when you can easily showcase your work for the world to see. Start with an online outlet, do great work, and direct the eyes of everyone you talk to there to see what you have to offer. Person number one was a networked contact. I had a friend who wrote a book and was kind enough to hand off her editors information to me. I didn’t end up signing with this person, but we chatted on the phone and it was a great start. Person number two was a coffee date at a blogging conference I attended. Most conferences these days have publishers there and are willing to fill their schedules with meetings. Do you research before going – follow them on Twitter, strike up an online conversation and then set up a meeting before getting to the conference. 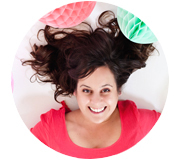 Bring a proposal, but most importantly, bring a smile and a great 30 second pitch. Person number three was an email I got from a PR rep for the publisher. I’ve worked with the publisher before – reviewing books for them – and really liked what they published. I asked my PR contact (who liked me because I normally responded to his emails) if he could get me in touch with someone in the editorial department. That email is what eventually lead to the perfect deal for me. 3) Develop a solid idea. No matter the hustle, nothing replaces a great idea that hasn’t been seen before. 4) Know what you are worth. As a first time author signing a book deal is a scary endeavor. Before signing we got a lot of advice from other authors I know and had a lawyer look over everything for us. The best piece of advice I received was to never write a book, if you wouldn’t do it for the advance. Many books never recoup beyond the advance, so I was cautioned to not write it unless I would do it for the advance. I plan to write a book that sells, but just incase, I am happy I took this advice. 5) Lastly, have the confidence to act. If you want to write a book, or land a killer promotion, or anything in life, the best way to get there is to just believe that you are that person. Totally believe it, and the entire way you relate to your work and opportunities will change. You might not get what you want immediately, but the change in what you produce will be greatly affected by what you believe your end-game or career cap is. You are awesome – go believe that! PS. The cute little book I typed in above is from Anthropologie. What an adorable book–and spot on advice! Can’t wait to hear more about the book! I’m so glad you wrote this, Victoria. It’s like getting a second opinion. I have just embarked on the journey towards getting my donut pan project published. I took a great class at Makeshift Society here in S.F. with Grace Dobush, but she definitely stressed sending letters to agents/publishing houses. Do you think there is no value in that? I have almost enough contacts right now that I could so more of an IRL thing, but it must work the old fashioned way sometimes? What do you think? Thanks again for this….I will be back to reference it in the next few weeks as I’m pulling everything together. I love this concrete advice – especially the part about meeting real people. Having worked in a number of publishing companies, I can tell you from the other side that having contacts is ABSOLUTELY a better way to go. Editors are much more likely to listen to a real, live, three-dimensional human being than to give a hoot about an email or paper pitch. Thanks for this, Victoria. And I can’t wait to read your book! Congrats Victoria, how lovely to be able to see your book soon! I think I chatted to you at that conference after that meeting. No wonder you were so happy. Look forward to seeing your book on the shelves.